Many now have reached a pinnacle of energy. Part of what you are experiencing is indeed a new influx of all-encompassing refined energy, a very purified and concentrated energy that you are now ready for. A new level has been reached, Dear Ones. Once you see the full manifestation, you will never want to go back. You are going full speed ahead, with ever-increasing help from the Spiritual Realm. Please allow for many more ratchets of your frequency levels by paying close attention to your physical bodies and the changes in them. Many of you are experiencing deeper meditations and some disorientation and discomfort, which may make it difficult to continue regular activities that have been the norm for you up until now. Do not fight it or feel discouraged, for these changes are the very thing that will bring you more solidly into the new energies. Abide by your present heart-based thoughts and feelings in the Now moment and proceed from there. This is the way to open new patterns of thought and ways of being that you would be unable to access if you were to adhere too closely to your old schedules and patterns of thought. Take it in stride and trust of your newfound ways of being, Dear Ones, and keep moving forward towards the new Light-filled Reality that you are creating with each breath of Light you are accepting from the Central Sun. The word is ACCEPT, Dear Ones, for now is not the time to be reticent or hesitant. Gulp the Light in and spread it into all your cells, intending it to go in at the molecular level or even smaller increments, all the while visualizing and feeling the Light’s expansion and infiltration to the core of you, into all of you. Then feel the transformation taking place within you. Feel the glow of energy, of Light, and get used to living with this feeling of Glowing Expansion. Close your eyes now and visualize and feel it. See the colors, see the Light. That is your Light Being, becoming more of what it was always meant to exhibit, if not for the dimming that was the norm for so many eons. 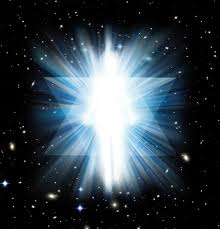 Take a look at your newfound Light Body with Acceptance and Love, for you have arrived at a new level of frequency. With it comes a new perspective and view of the World, from what you once knew. It will not take long for you to be adjusted to it. This is no small thing that you have all achieved, and with it brings so many new wonders! Your loving brother, Yeshua on behalf of the Company of Heaven. Thank you to Yeshua and the Company of Heaven.